The University of Arizona Medical Center on the University Campus was established in 1971. The facility was previously know as the University Medical Center. The University of Arizona Medical Center is the primary teaching hospital of the University of Arizona Colleges of Medicine, Nursing and Pharmacy. These centers have worldwide recognition for their academic, research and clinical activities. Jointly, these centers have contributed to The University of Arizona Medical Center’s international reputation. 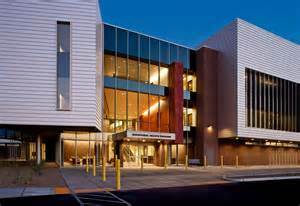 In 2010, University Physicians Hospital and University of Arizona Medical Center, along with their affiliated organizations, merged and became known as UA Healthcare. Additionally there are some 40 clinics, a health plan division and the practice plan for medical doctors from the University of Arizona College of Medicine. Tucson AZ has outstanding medical services for its residents and visitors through out the Tucson Metro area. Nationally and Internationally recognized medial services that are easily accessed from almost every community enhance Tucson’s reputation as a great place to call home. Visit the U of A Medical Center website for more information. Considering Tucson as a future home OR looking for an escape from those nasty winters? We can help!